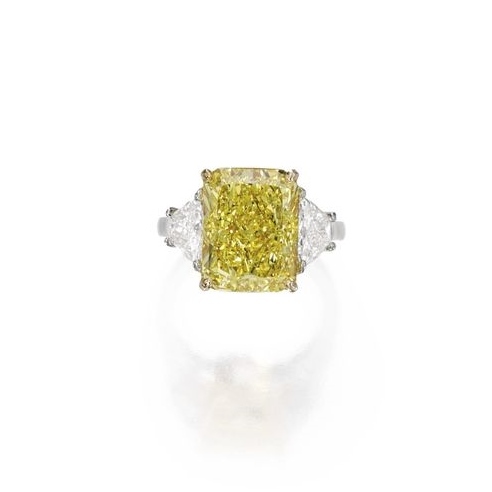 Centering a cut-cornered rectangular modified brilliant-cut Fancy Vivid Yellow diamond weighing 8.19 carats, flanked by two trapeze-cut diamonds weighing approximately 1.35 carats, size 6. Accompanied by GIA report no. 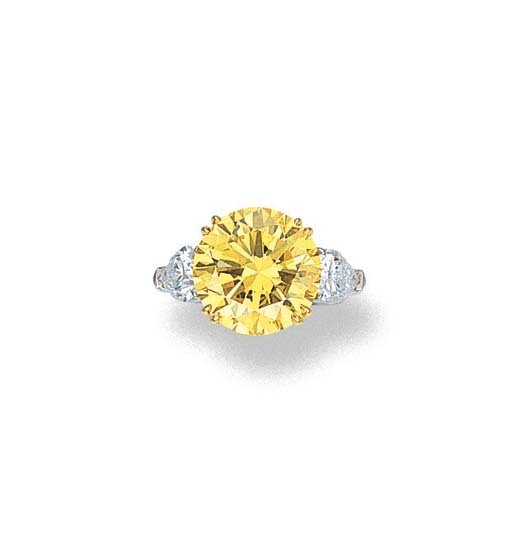 2165445246 stating that the diamond is Fancy Vivid Yellow, Natural Color, VS2 clarity. 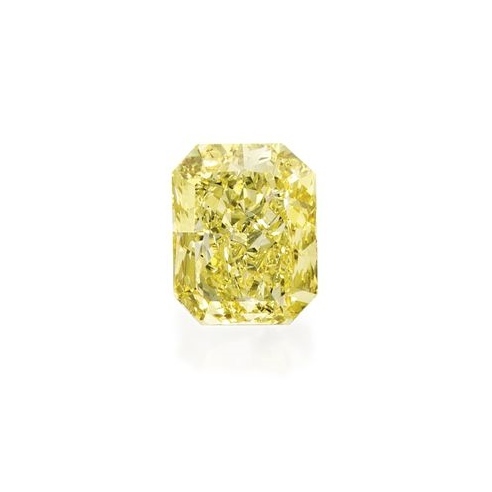 Set with a cut-cornered rectangular modified brilliant-cut Fancy Vivid Yellow diamond weighing cut-cornered rectangular modified brilliant-cut, the mounting set with round diamonds, size 6½. Accompanied by GIA report no. 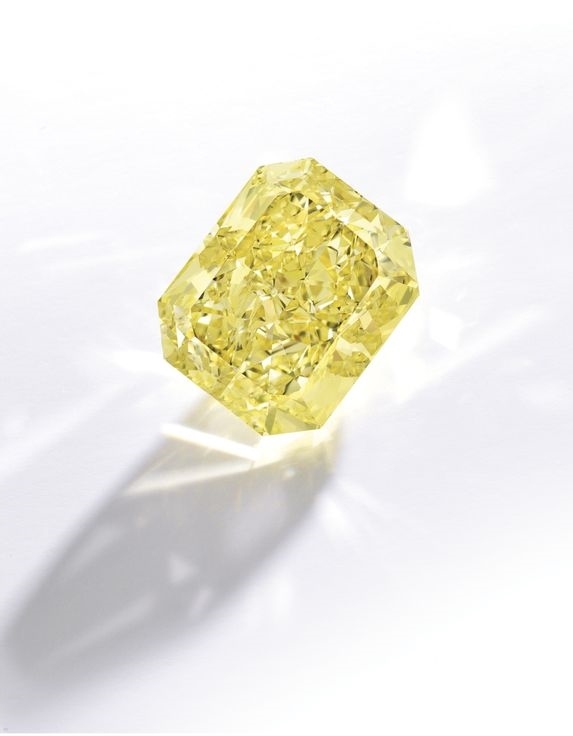 1162064864 stating that the diamond is Fancy Vivid Yellow, Natural Color, VS2 clarity.